With British Pie Week 2017 just around the corner and Pierate - Pie Reviews becoming the leading promoter of the pie this British Pie Week, we thought you might want a reminder of what we got up to last year in the greatest week in pie! Rob heads to Cardiff, Tim starts his #PiePledge and Sam DRINKS a pie! The British Pie Awards and a 4lb Desperate Dan Cow Pie Challenge! A trip up to Scotland to visit the World Scotch Pie Champion The Kandy Bar Bakery, a "pie in the sky" and a pie in bed! One of the darkest days in pie history - the fallout of the British Pie Awards! More Kandy Bar Pies and a mention in the Daily Telegraph newspaper! Homemade pie day, as Anna did a Seven Cs pie and The Ship's Cook did a pierate ship pie! 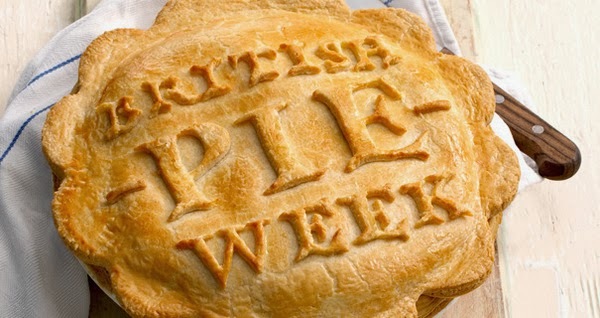 Meanwhile for this year's British Pie Week info, why not read our "Everything you need to know about British Pie Week" article? !